Though some critics love to knock PCs as dinosaurs, laptops and desktops have gotten sexier, faster and even smarter. 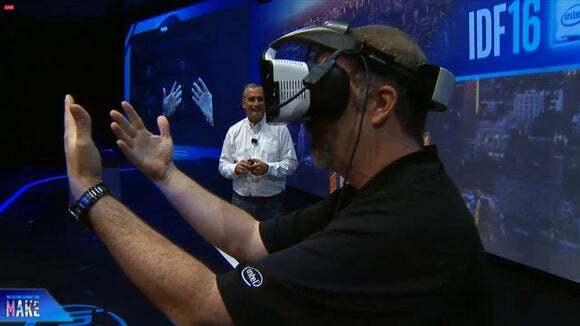 For every blue screen of death, there are droves of technological enhancements driving PCs into the era of virtual reality, 4K video and 5G connectivity. Here are the top 10 PC technology and trends to watch next year. An Intel employee demonstrates the company’s Project Alloy headset on stage during IDF 2016 in San Francisco on August 16, 2016. VR devices will come in many new shapes and sizes, with some of them acting essentially as PCs that fit on your head. Dell, Asus, Acer, Lenovo and HP will release mixed reality headsets, which will allow users to interact with 3D objects that pop up as floating images superimposed on a real-life background. The devices will provide a new level of human-computer interaction, making it more fun than ever to create 3D objects, play games, watch moves, and have interactive Skype calls. These “holographic computers,” as they have been called, will have Intel chips, an integrated GPU and possibly a 3D RealSense camera to identify objects, measure distances, and provide new perspectives on surroundings. Prices of SSDs are going up due to shortages, and that could have an impact on the price of laptops, 2-in-1 computers and storage. Dell’s XPS 13 with Intel’s Kaby Lake chips and a 512GB SSD, for example, is not available right now. Other laptops with 512GB SSDs are priced unbelievably high. Most PC makers are offering 128GB or 256GB SSDs in PCs by default. Choose storage wisely, as it isn’t easy to screw open a superthin 2-in-1 to replace an SSD. 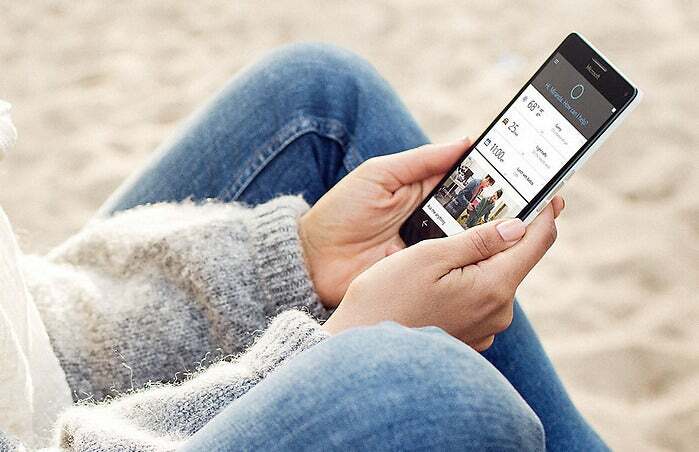 Woman using Microsoft’s Cortana voice-activated assistant on Lumia smartphone. The feud between Apple’s Siri, Amazon’s Alexa, Google’s Assistant and Microsoft’s Cortana voice-activated assistants could get more interesting next year. Users will be able to shout out Cortana commands to Windows 10 PCs from a longer distance, thanks to a “far-field speech recognition” technology that Intel and Microsoft are working on. Until now, Cortana worked best if a user was close to a PC, but millions of Windows PCs will turn into Amazon Echo competitors with this new feature. Cortana can do a lot more than Amazon Echo, like accessing information from the cloud, chatting with chatbots, checking email and other tasks. Intel has been the unchallenged king of PCs for more than a decade, but AMD is fighting back with its new Ryzen PC processor, which will reaches PCs next year. A healthy rivalry will be good news for PC users, some of whom may jump from the Intel to the AMD camp. AMD claims Ryzen is 40 percent faster than its current PC chips, which on paper is impressive. The chips will first hit gaming PCs, and then mainstream laptops and desktops later in 2017. Ryzen will battle Intel’s Kaby Lake in early 2017, and the 10-nanometer Cannonlake in late 2017. The first attempt at ARM PCs, which ran on Windows RT, was an unmitigated disaster, and it left many users skeptical of the idea. 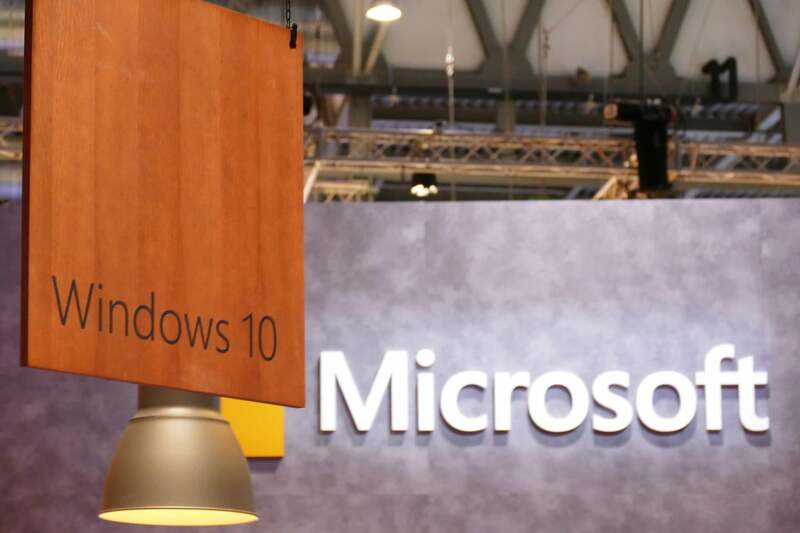 But Microsoft hasn’t given up, especially as 5G starts to become a reality and cellular connectivity in PCs becomes essential. Microsoft announced that next year PCs will be available with Qualcomm’s ARM-based Snapdragon 835, which is primarily for smartphones. 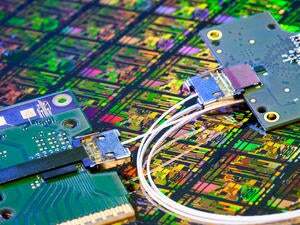 Super-thin laptops will get integrated modems and a long battery life with the chip. The ARM-based PCs will run Win32 applications that run on regular x86 PCs via emulation. For now, no PC maker has announced ARM-based Windows PCs—manufacturers may be cautious in light of the Windows RT fiasco. There are also many challenges. Snapdragon isn’t as fast as high-end x86 Intel or AMD chips, and won’t support 64-bit applications initially. Also, emulation may limit the ability to exploit hardware acceleration. Laptops and 2-in-1s will be equipped with the latest Bluetooth 5 wireless specification, which is a longer and faster upgrade to the aging Bluetooth 4.2. Bluetooth 5 will allow PCs to communicate wirelessly with devices up to 400 meters away in clear line of sight, but a more reasonable range is about 120 meters, according to analysts. Bluetooth 5 will transfer data at speeds of up to 2Mbps, which is two times faster than its predecessor. Dell’s XPS 13 has an edge-to-edge screen. Laptops like the XPS 13 and Lenovo’s Yoga 910 have beautiful edge-to-edge screens, a feature that may be included in more laptops next year. Also, 4K screens and HDR (high-dynamic range) technology will make games and movies look stunning. HDR results in more vivid images, and TVs, cameras and monitors supporting the technology are already available. Netflix is also doubling down on HDR. An HDR standards battle is brewing with DolbyVision and HBR3, but GPU makers are supporting both standards. AMD expects DolbyVision to ultimately win. 3D XPoint is the technology behind Optane products. Intel’s Optane, a superfast SSD and DRAM replacement that could ultimately unify memory and storage, could cause a radical change in PC architecture. But that won’t happen for a few years, and the initial expectations for Optane are modest. The first Optane SSDs will be in enthusiast PCs, and could cost a small fortune. Optane SSDs have been measured as being 10 times faster than conventional SSDs. Over time, Optane could replace DRAM DIMMs, with the added advantage of being able to store data. 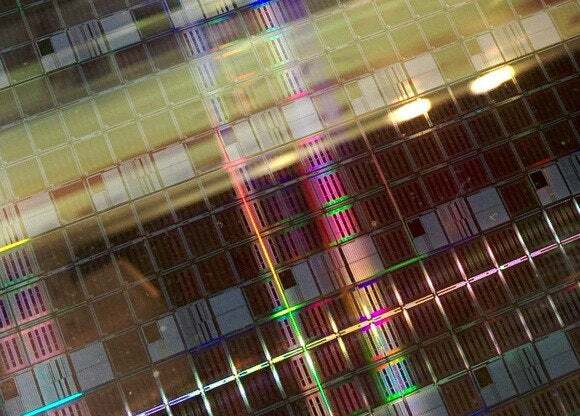 The SSDs won’t be in laptops next year as the technology’s uses are still being explored. Optane is based on a technology called 3D Xpoint, which Intel co-developed with Micron. SSDs based on Micron’s 3D XPoint technology will ship next year under the QuantX brand. Lenovo’s Yoga Book has a virtual keyboard on a touch panel. We saw some interesting changes to keyboards this year: Apple added the Touch Bar, while Lenovo swapped out the hard keyboard for a virtual keyboard on a touch input panel for its Yoga Book. Lenovo wants to bring the virtual keyboard to more Chromebooks and 2-in-1s, partly because of its versatility. The touch input panel can also be used to draw or take notes with a stylus. It’s a toss-up: Lenovo believes that those used to typing on mobile devices will adapt to this touch panel keyboard quickly, while hard keyboard diehards will dismiss the idea. PC makers may not muster up the courage to remove the headphone jack and SD card slots from PCs right away, but USB 2.0 slots could be on their way out. 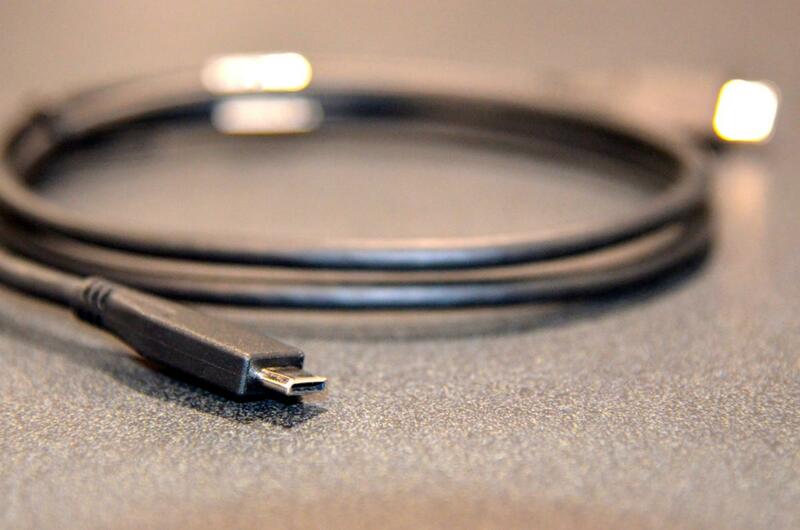 Some PC makers may leave out display and other legacy ports with the emergence of the versatile USB Type-C, which can be used to charge PCs and connect displays, storage devices and other peripherals.